Exquisite natural perfume lotion through its active principles that, besides taking care of the skin of the baby, has aromatherapeutic properties that calm, sedan and prepare the little ones to enjoy deep and relaxed dreams. Its ingredients are excellent for the care of sensitive skin. 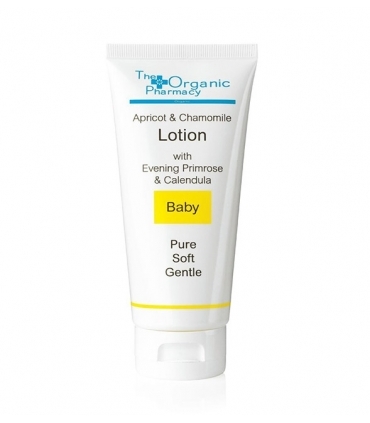 Apply gently on the skin of the baby's body and massage until completely absorbed. Aqua, Glyceryl stearate citrate, Caprylic / Caprylic triglyceride, Glycerin, Glycerin stearate, Mel *, Citrus grandis fruit extract, Sodium benzoate, Potassium sorbate, Citrus aurantum amara flower extract * (Neroli), Chamomilla recutita flower extract *, Acid ascorbic, Melissa Officinalis leaf extract *, Citric acid; Farnesol **, Geraniol **, Limonene **, Linalool **; (*): From certified organic farming; (**): typical of essences.